Partnering with PP Control & Automation is reaping dividends for ABG International, helping it achieve major manufacturing efficiencies and boosting its capacity to cope with rapid increases in sales. These telling words are from Phil Robson at ABG International, a manufacturer of innovative print finishing equipment for more than 60 years. It’s not empty marketing rhetoric either from the experienced Operations Manager, but a genuine summary of a relationship that will soon be approaching its 9th anniversary and continues to go from strength to strength. In short, it is a perfect example of how strategic outsourcing can help an already successful business become more efficient, improve lead times and, importantly, scale up quickly to take on new business without significantly increasing long-term overheads. “The two businesses operate in very similar ways and, once we had seen PP Control & Automation’s capabilities at its world class facility in the West Midlands, we knew there were lots of synergies and a relationship to forge,” continued Phil. 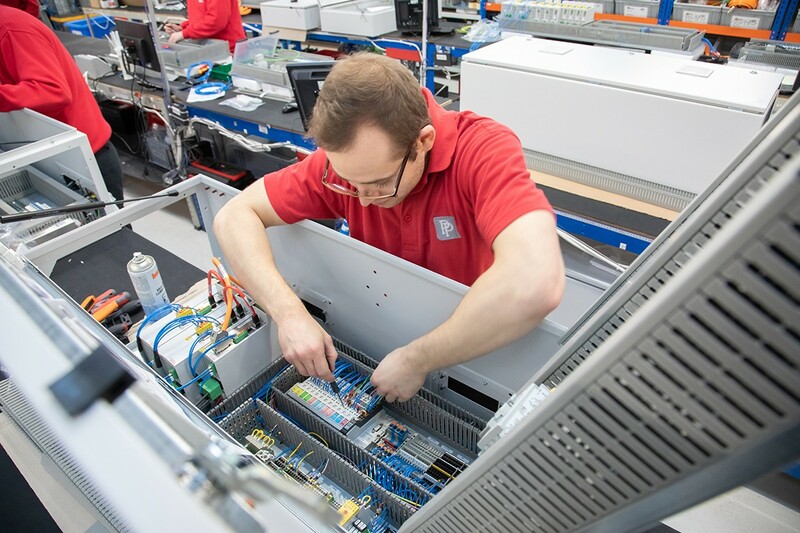 Tony Hague, CEO of PP Control & Automation, picked up the story: “Once we had successfully came up with the enclosure design we could then start considering the cable harnessing and the interconnectivity around the machines. “It quickly became apparent that a modular approach would be a lot more cost and time effective and we were given the task of designing a process that would see the modules assembled in the West Midlands. “We could design the cable harnesses and ensure they were jigged to the optimum lengths so they could be plugged straight into the mating halves around the machine, whether distributing power or signals. He continued: “As a spin-off project, we jointly came up with a Power Distribution Unit that mounts at the front of the machine and distributes the power around the machine to each of the modules. ABG and PP engineers took just six months to redesign the controls architecture into the new modular format. This has given the end customer a huge amount of flexibility when specifying the exact machine requirements they need, whilst ensuring ABG is not having to redesign constantly, rather selecting and configuring modules in a manner that provides a bespoke solution to the user. Full interconnectivity solutions being designed and introduced and creating a ‘plug and play’ scenario not only speeds up initial build, but also supports very efficient machine commissioning in the field – allowing machines to be up and running more quickly on site. “We always wanted to move towards this scenario and our strong partnership with PP meant we got there quicker than we initially anticipated, using positive lessons gained from different sectors along the way.” continued Garth Williams, Software Manager at ABG International. “Both companies invested a lot of time at the start of the working relationship and this ensured we both fully understood each other’s business and where PP could add value. ABG International, which employs nearly 350 people across three manufacturing plants in the UK and Germany, is the world leader in digital finishing equipment that produces high quality labels and packaging for 2500 customers across the world. 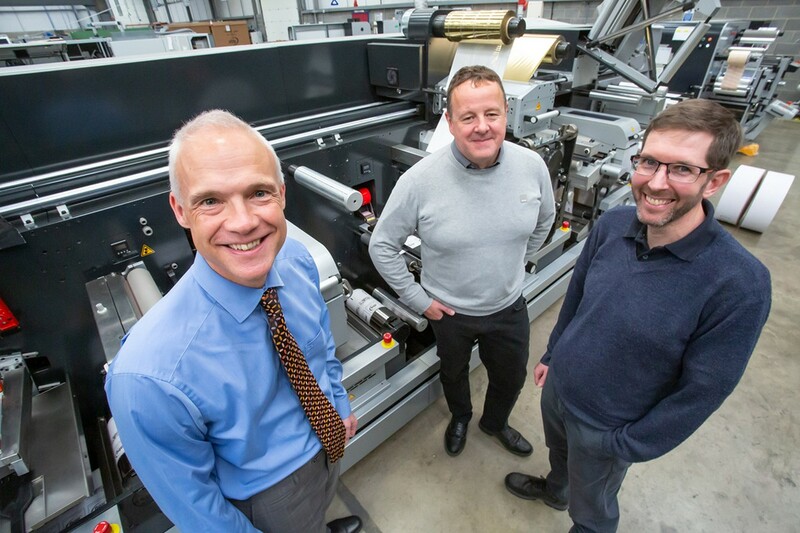 It worked with PP Control & Automation to manufacture up to 250 machines in 2018, with plans in place to increase this to 300 as more firms adopt the many benefits of digital printing. “Digital print is taking over from conventional printing, so we anticipate the market to expand rapidly over the next decade,” pointed out Phil. PP Control & Automation customer case studies will be updated in a new dedicated area of the website, with access to full press releases, downloadable documents and an image gallery.